I am passionate about relationships and transformation! I am a licensed architect and a certified conscious living coach. This unique combination allows me to assist people in consciously transforming their lives in a variety of ways. I harmonize light and space into alignment with the creative potential. (in spaces and in people) I do this through individual and relationship coaching, and through a conscious architectural design process that leads to a home that reflects your authentic self. I am available by phone, skype and/or in person. Contact me if you are ready to have fun consciously designing your life, relationships, and/or your home! Ed has supported individuals and organizations in their personal journey using the Hendricks method since 1997. He has been an individual life coach to hundreds of individuals while also developing a thriving organization development practice working with organization to build resilient workplaces. Along with the Hendricks method, Ed also is certified as Co-Active Professional Coach through Coaches Training Institute, certified as a family constellation (Bert Hellinger) facilitator, certified Somatic Experiencing® practitioner and has is Masters in Psychology from Antioch University. How successful do you want to be? If you’re ready to go-for what you truly desire, I’d love to help you “Inhabit Your Dreams!”Â® Coming from an “atitude of gratitude,” healthy relationships — to self and others — are easier than you may think! Whether business or personal development, I can facilitate your uncovery or creation of what you need to manifest your best and highest self, with abundance and joy. It’s worked for me! All of us have felt unseen, unheard, feeling we don`t count. I show you how to reclaim your joy, dance with life again. I show you how to transform “I don`t count” into vitality shimmering with joyful self-expression that can carry you to great relationships. To a fulfilling career. To deeply moving forms of artistic expression. Individual, couples & affordable group coaching by phone. I facilitate organizations, teams and individuals in the life-affirming process of discovering and developing creative self-expression. Whether you’re on a personal journey of evolution or a team looking for breakthroughs in performance and innovation, I’m here to support, guide and collaborate. And as the artist and co-creator with Katie Hendricks, PhD of Impeccable! The Integrity Deck, I’m looking forward to sharing this powerful tool as a catalyst for meaning, accomplishment and growth. Let’s explore together your amazing human gifts through creativity—the most fun way to flourish that I know! My passion is supporting people who want to participate more consciously, joyously and creatively in their lives, relationships and businesses. I uniquely integrate mentoring, labyrinths and ceremonies with an intuitive body/mind/spirit approach to honor and celebrate our life/business journeys and turning points. Connect with your internal GPS (Guidance Positioning System) to light the path to joy and peace in your life! Sessions in person or by phone. Live Your Dreams, Love Your Life! My passion is to empower others to live the life of their dreams. I see all people as the driving force of creative change. As your coach, I commit to being 100% present for you in the discovery of what you want. I embrace and promote conscious living, loving and empowerment through self-awareness. Magic occurs when you live from your heart, when you experience life by being fully open to it and when you are able to fully receive what is offered to you. I would be honored to assist you on your journey of creating Heart-Centered Choices to empowerment. Coaching is available in person or by phone. Start living your dreams and loving your life today! Transformation is ultimately about making something extraordinary happen in your life, and in the lives of others. You may be questioning your purpose, your career, the meaning of your life’s work or your intention for living. Whether you are sick of the corporate rat race, want to find more fulfillment, create a better work environment, develop a high-performance team or enable greater teamwork and collaboration in your organization, it starts with you. Combining body mind intelligence with psychodynamic practice and 20 years corporate experience, I can assist you in finding fulfillment in your life and work again, reclaim your personal genius or that of your organization, and bring you peace, love and joy again. By integrating mind, body and soul, I can assist you in creating a thriving conscious collaborative culture that sustains your business and enables you to find the unique contribution that will transform your life and those that surround, enabling you to find wholeness, meaning and purpose again. Please contact me for a complimentary consultation. I can be available for individual or group consultations in-person or via skype and look forward to meeting with you soon. Susannah is a corporate executive and a License Professional Counselor Intern. She holds a M.A. in Counseling Psychology from Pacifica Graduate Institute, a M.A. from Middlebury College and a B.A. from the University of Texas in Austin. Susannah has a private practice in Austin, Texas. For more information, please visit www.depth-therapy.com. Andrew offers exceptional guidance and concrete tools for you to create the life you desire. He has been a transformative life coach working with individuals and groups for over 15 years. By connecting to one’s vast innate resources, clients experience a positive seismic shift in their personal, relationships, family, and work/career life. Making a conscious commitment to living fully in your essence and taking a body-centered approach opens up new pathways to conscious living and loving. You will manifest results in ways you would never have dreamed possible. Life becomes fun, engaging, creative, abundant, stress-free, and full of vitality and energy again. Sessions available in person, Skype, or by phone. I am honored to coach executives who want to expand their leadership proficiency… and masterfully create an environment of resonance within their teams. The number one job of a leader is to foster good feelings in the people you lead so that your team naturally follows with enthusiasm and commitment. My style is very grounded, pragmatic, warm and inviting. I work with you at your pace. We appreciatively begin where you are right now, create an intention of where you want to be, and then navigate the territory in-between using a myriad of assessments, tools, and simply practices. As you consciously engage in your own evolution, the inspirational leader inside of you emerges and powerfully takes charge. No matter what you want in life, it is all about learning to manifest. Imagination Made Real™, A Path to Reliable and Sustainable Manifestation (IMR) offers a powerful, easy, and effective system. Through private coaching, TeleTrainings, or as a self-guided process, this joyful journey includes tools, techniques and ways of being that lead you to the spontaneous delivery of what you want. Manifestation is about evolving who you are as a person and opening to surprises. It is playing The Big Game, which means to permanently shift the way you move in the world to reliably create your ideal life. For coaches, IMR is a powerful coaching framework to use with your clients. Co-Creators of IMR: Chris Lucerne, Gay Hendricks, Katie Hendricks, and Gayle Colman. Are you a woman who would like to make empowered choices, increase self love, reliably know how to access your inner joy, and enhance your relationships? When we join together you will learn skills that allow you to sweep away the debris of limiting beliefs. We will apply body intelligence methods that support you in living in the expression of your innate, unique creativity and genius. I love cross-pollinating my areas of genius: playing with color, love of learning, creating, sharing and presencing with others. By practicing body intelligence methods I have broken through many of my own limiting beliefs and have created a coloring book for adults called “Color Your Essence”. There are a ton of benefits from coloring: Coloring calms down the amygdala in the brain thereby reducing stress, symptoms of PTSD, anxiety and more. It also affects the brain the same way meditation does. Coloring increases focus, concentration, problem solving and organizational skills, using both hemispheres of the brain. I welcome you to contact me for a free laser session! As a Big Leap Coach Maureen “Moe” Russakoff is once again participating fully in the vision of the world as a place where we do our best work when we play together, staying open to our own creativity. Moe studied and completed Improv classes at the Second City Training Center in 1994, subsequently teaching a series of workshops alongside the legendary David Shepard. The Hendricks Institute ethos of playing your way thru body centered experiences facilitating self discovery dovetails perfectly with Moe’s background and experience. A serial entrepreneur, Moe founded New Story Games in January of 2014, offering Corporate and Personal Developement training. Moe’s mission as a coach allows for placing loving attention on our cultural conditioning inviting a shift from gender bias to gender balance. Having made her living for many years as a professional singer and humorist, her ease and skill in front of people shines brightest when she writes, speaks and leads in workshop settings. I’m committed to celebrating a conscious, joyful life and inspiring those interested to do the same. When you claim 100% responsibility for your experience, you have the power to create exactly what you want. Imagine enjoying maximum health, wealth, harmony, and love in your life. Are you willing to see yourself as whole, and to share your unique gifts with the world? If you’re willing to have fun creating your dream life, and curious about how to start your journey, contact me. I offer individual coaching and group play-shops to support you in accessing and expressing your true self in order to live your life fully and on purpose. Sessions emphasize whole-body discovery via simple techniques designed to generate wonder and open up a loving space where transformation occurs easily. Coaching available by phone, Skype, and in-person. I assist individuals, work teams and organizations discover new ways of living and working to their fullest potential. As a personal coach, organizational transformer and educator, I provide support, tools and guidance as you create your signature life or work experience. I have studied with the Hendricks Institute since 1994. I continue to transform with amazing depth as I author my life. I live a happy life and invite you to do so too. If you’re like me, you’ve done a lot of ‘work’ in your life. Personal growth. Self-help books. Therapists. It’s all gotten you to where you are today. Now, here, I invite you to ask yourself: “Am I willing to let that “work” go?” Instead, consider the possibility that you could create — and allow — magical openings in your life from a place of utter ease instead. Getting older often looks like slumping into old age, fearful and waiting to die – a victim of the aging process. Many of us are now powerfully redefining aging to include the concept of “elderhood”. As elders, we consciously choose to age with aliveness, curiosity, energy and grace. We use our skills and wisdom in service to our communities with a grateful, loving heart. I mentor conscious men who are committed to being Vibrant Elders in service to the world. I’ll come to your workplace/home, anywhere in the world, and shadow your daily steps. We’ll embark on a shared journey, travelling together into greater wholeness and effectiveness. I’ll help you create a life of integration, connection and flow – by going into the teeth of your fear, anger and sadness – and by fully embodying your joy, radiance and genius. through The Samaritan Counseling and Growth Center. Rich Russakoff, “Coach to The Best,” is an internationally acclaimed coach, speaker, author and serial entrepreneur. His coaching credits include six winners of the Ernst and Young Entrepreneur award and over 100 winners of the INC 500, during his tenure as a Senior consultant for INC. Magazine. As a certified Big Leap and Conscious Living Coach he gave the keynote presentation for the International Entrepreneurs Organization All Staff Week, presenting on shifting from Blame and Drama to Joy and Celebration. The topic was so well received he subsequently presented a webinar with his wife, Moe on the same subject. The reviews and evaluations were “terrific” and it is clear that business want to know more about conscious leadership. In his speaking presentations and in coaching entrepreneurs, Rich has fully incorporated the concepts of zone of genius and overcoming upper limits barriers. Greetings! 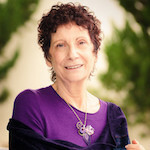 I’m Karen Thompson, Ph.D., a psychologist and Conscious Living Coach in Austin, Texas. I am passionate about holding space for the widespread practice of conscious living and loving on the planet and I love cultivating conscious community wherever I go. My favorite subject is manifestation! I work lovingly with clients to teach the tools and practices for easily manifesting that which is most desired. I weave coaching into my therapy practice and am very satisfied with the rich and rewarding results I co-create with my clients. Call or email me to schedule an appointment! I can be reached at 512 391-0426 or at Karen@ktphd.com.